A returning concern in social media marketing is the way to measure return on investment. Do tweets translate to sales? Will “likes” lead to conversions? Can followers forecast success? While marketers still seek a strong set of metrics, there are other ways for testing and tracking whether social media efforts pay off. 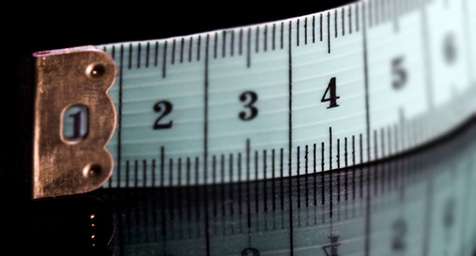 For some trusted tips on measuring social media ROI, check out these four smart strategies from BigEyeAgency.com. 1. Mind Your Metrics – Carefully consider the best way to measure. Since you can’t count sales by friends, followers, or favorites, it can be difficult to determine the real value of social engagement. Fortunately, a majority of sites have built-in analytic dashboards that show which links have led to hits. This provides proof that an ad is effective enough to make a person click. After that, converting that click is up to you. 2. Interact with Influencers – The impact of influencers can be felt far and wide. That’s why you need to tap the tremendous power of these people with many social media followers by interacting with them on a regular basis. Try to warm up to their communities and keep up with their activities so these influencers view your brand as a friendly, familiar face. While you need to invest some time into tapping these social leaders, it’s truly worth the effort because they can build your sales, boost your reach, and bring in brand-new customers with a simple social mention. 3. Save by Spending Time on Social Media – Marketing is a must when it comes to digital reach, which is why social media advertising has become so important today. But not all social media marketing has to come with costs. Twitter makes it easy for brands to promote their products, voice their views, and interact with consumers without spending a single cent. Brands can also save on customer service since social media allows consumers to reach them with their questions and problems with a click instead of a call. Clearly, spending time on social media can lead to savings and ROI. 4. Reassess when There’s No Return – If you’re not seeing significant ROI from your social media strategy, it’s time for a tweak or two. Consider which platforms can promote your products in the most effective ways. Branch out beyond basic platforms and experiment with emerging sites, live chats, and even some unconventional concepts to position your brand in new lights and to new markets. Return on investment can’t be ignored, so you can’t afford to ignore these tips for assessing the value of social media. These platforms deliver more reach and response than many other marketing means, so it’s worth investing the time and trust to earn a social return. Discover the difference social media marketing can make for your brand. Contact MDG Advertising today at 561-338-7797 or visit mdgadvertising.com.